AMI, a subsidiary of Sanken Electric Co., Ltd., is the owner of Polar Semiconductor, LLC, (Polar) a wafer fabrication facility in Bloomington, Minnesota (USA) and Allegro MicroSystems, LLC, (Allegro) a leader in developing high-performance power and sensing semiconductors. Allegro's innovative solutions serve high-growth applications within the automotive market, with additional focus on industrial and consumer/computing solutions. Allegro is headquartered in Manchester, New Hampshire (USA) with design, applications, and sales support centers located worldwide. Anvil is a leading manufacturer and distributor of piping system components to the North American non-residential construction, mechanical, industrial, and oil & gas sectors. Bibliotheca is dedicated to the development of solutions that help sustain and grow libraries around the world. Their products are designed to provide a welcoming, intuitive and seamless environment for those that use the library – wherever they choose to use it - be that at home, on the move or within the library itself. They service over 30,000 unique libraries, with a deployed equipment range in excess of 10,000 individual self-service units, 6,000 security systems and over 650 automated materials handling (sorter) systems. In addition, their digital platform features content from over 1,000 publishers and is available through almost 3,000 libraries. Celltrion, Inc. is a biopharmaceutical company specializing in the development of “biosimilars” for monoclonal antibody drugs. Celltrion Healthcare is responsible for the marketing and sales of Celltrion, Inc.’s products and has established a strong global distribution network in preparation for the launch of Celltrion's antibody biological therapeutics in more than 120 countries. Cless Cosméticos is a Brazilian beauty and personal care products business currently focused on the hair care market. Cless currently has five brand platforms, each of whom has a strong niche market position. Cless has focused on the most-profitable, highest-growth regions, channels, and product categories as it continues to build one of Brazil’s leading niche beauty and personal care businesses. Crayon is the global leader in software asset management, cloud and volume licensing, and associated consulting services. It focuses on helping clients optimize their technology investments. DWK Life Sciences is a leading global manufacturer of premium laboratory and storage solutions for a wide range of scientific and technical applications. The DWK Life Sciences offering includes over 25,000 laboratory production under the famous brands Duran, Wheaton, and Kimble. Its world-leading and trusted glass is complemented by an innovative research and life science portfolio. Worldwide, 1,700 people at 12 manufacturing sites are dedicated to developing and delivering superior products and services that focus on the needs of customers in the chemical, life science, and pharmaceutical sectors. Established in 1999 by a team of semiconductor industry veterans, ePAK is a full-service designer, manufacturer, and supplier of precision engineered products and solutions for the automated transport and handling of semiconductor and electronic devices. Product areas include front-end wafer handling, back-end IC transport, and end-system sub-assembly handling. ePAK's products are sold globally to top-tier global customers including semiconductor companies, system OEMs, and IC assembly and test operations. Its large-scale manufacturing and design center in Shenzhen, China is centrally located to the semiconductor industry's back-end activities and supports a global network of JIT distribution centers. ePAK's corporate headquarters is located in Austin, Texas with nine sales and applications engineering offices worldwide. Ernest is a leading provider of post-acute healthcare services in the United States. Ernest operates 18 inpatient rehabilitation facilities and 7 long-term acute care hospitals with 978 total beds across 11 states. Manufacturer of rigid packaging containers for the global food and beverage industry. INTREN is a leading provider of specialty contracting services for electrical and gas infrastructure serving utilities, municipalities, private contractors, and public and private property owners. Services provided include construction, design and maintenance within the distribution segment of the utility services market. Lutech is a leading European IT system and integration provider, designing and enabling digital transformation and innovative enterprise technologies for clients across a variety of end markets. Solutions provided include software and associated technology services in areas ranging from financial technology to Internet of Things, eHealth and cybersecurity. MediaKind is a leading video software technology company, providing video compression for contribution and direct-to-consumer video service distribution, advertising and content personalization solutions, high-efficiency cloud DVR, and cloud-based TV and video delivery platforms. MediaKind delivers these products and services at scale to the leading global telecommunications, cable, satellite and media companies. Merfish is a value-added distributor of imported and domestic steel pipe products to the energy and construction markets in the U.S.
Neology is a leading provider of integrated solutions for the tolling, electronic vehicle registration (EVR) and public safety markets. The company is a pioneer and leader in the development of passive RFID technology owning some of the earliest and most significant intellectual property (IP) in the industry. OMNI is a diversified provider of environmental solutions focused on energy customers. Key services include water logistics and disposal, and solid waste processing, treatment and disposal. OMNI also offers a variety of other specialty environmental services such as automated supply boat tank cleaning and offshore equipment inspection, cleaning and corrosion abatement. OMNI’s environmental solutions address a $34 billion U.S. energy waste management market. OneLink is a near-shore provider of BPO services whose founders have more than 25 years of experience in the industry. The company now handles more than 40 million customer interactions per year. OneLink serves North and Latin American clients in the consumer, telecom, technology, and travel and leisure sectors from 12 state-of-the-art delivery centers in El Salvador, Nicaragua, Colombia and Guatemala. The Company’s 8,000-plus employees provide an integrated portfolio of BPO services, including customer relationship management, sales, technical support, finance and accounting, logistics, supply chain and other back-office services. Orion provides digital transformation and automation services to large enterprise customers across the financial and professional services, communications and media, professional sports and entertainment, education and healthcare industries. Headquartered in New Jersey, Orion is uniquely positioned as a high touch, high quality and nimble solutions provider with the proven expertise and scale to solve complex problems of Fortune 1,000 customers. Global manufacturer of hydrogen peroxide, persulfates, peracetic acid, and regional producer of silicates for a wide variety of chemical applications and end markets. 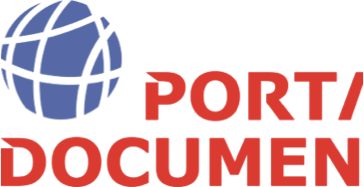 Portal is a Brazilian IT services company that develops web-based software solutions to automate, expedite and improve the collection of delinquent consumer loans. Portal licenses these solutions to large financial institutions and other customers to connect them electronically with key constituents in the credit process. PS Logistics is a provider of flatbed truckload transportation and logistics, that specializes primarily in irregular service between the Southeast, the Northeast, Texas, California, and the Midwest. Rizing is a privately held international company that provides leading SAP functional and technical consulting services to its customers. Rizing is the parent company of Vesta Partners, a leading SAP EAM services firm, and /N SPRO, a top SAP HCM, SuccessFactors and SAP for Retail services firm. The Rizing businesses provide leading specialty SAP consulting services through deep industry experience and a proprietary approach to service delivery and use of IP tools. SGB is the leading independent global pure play manufacturer of transformers providing various power transformer products to utilities, grid operators, renewable energy OEMs and industrial clients. These products include large and medium power transformers, dry transformers, distributor transformers, and associated services. Simplura Health Group’s origins go back to 1955 when the founding organization – All Metro Health Care – began providing services in Long Island, NY. Since then All Metro expanded across the state of New York and acquired operations in New Jersey and Florida to become one of the largest and most respected home care companies in the country. In 2015 All Metro purchased CareGivers America in Pennsylvania; in 2016 All Metro purchased Multicultural Home Care, along with its Freedom Home Care private pay line of business, in Massachusetts and in 2017 All Metro purchased Independence Healthcare, also in Massachusetts. All of these companies are leading providers of home care services in their respective markets, supporting their clients with basic services such as providing a home maker to assist with meal preparation and light housekeeping for a few hours a day or a home health aide to provide assistance with activities of daily living to complex home nursing services provided around the clock by Registered Nurses. Smartrac is a leading developer and manufacturer of radio frequency identification (RFID) inlays for a variety of applications ranging from transportation cards, access control devices, customized identification tags, and secure contactless applications including payment cards and electronic passports. Strike is a leading provider of integrity testing, operations and maintenance and engineering, procurement, and construction services for pipeline operators and oil, gas, and NGL integrated majors. The Results Companies (“Results”) is a premier global customer experience provider for Fortune 500 companies and has uniquely designed, built and operated award-winning call centers that have set the standard for innovative, customer-focused contact solutions. Results offers a full range of services that include customer service, acquisition, enrollment, retention, membership support services and transaction processing to outbound sales and retention campaigns. Results employs over 18,000 employees in 23 locations in the United States, the Philippines and Latin America. The business is headquartered in Ft. Lauderdale, FL. Founded in 1973 and headquartered in São Paulo, Brazil, Unicoba manufactures and markets a portfolio of third-party and proprietary consumer electronics, industrial batteries and LED lighting solutions to a variety of retail, wholesale, corporate and public customers. USCO is a leading supplier of aftermarket and OEM parts to the global earthmoving machinery industry. The company manufactures and distributes an extensive range of undercarriage, ground engaging tools, and repair parts for construction earthmoving machines. Founded in Columbus, Ohio, in 1912, W.W. Williams is one of the nation’s largest sales and service providers of industrial power products with an extensive network of 39 facilities employing more than 440 service technicians across 12 states and Mexico. It offers service and repair, OEM product sales, and supply chain management solutions. Its products and service offerings include diesel engines, transmissions, bumper-to-bumper truck repair, transport refrigeration, power generation systems, and supply chain logistics services. Walki Group is a leading, international producer of technical laminates and protective packaging materials, specializing in the production of fibre based, intelligent, multilaminate products for markets as diverse as energy saving facings and construction membranes to barrier packaging applications. Walki’s production facilities are located in Finland, Germany, the Netherlands, Poland, the UK, Russia and China. To best cater to global customers, Walki aims to continue investing in state-of-the-art production facilities and promoting the tradition of innovation and exceptional service worldwide. Wow! Nutrition is a Brazilian healthy food and ready-to-drink beverage company with a broad product offering that includes fruit juices and nectars, teas, coconut water, coffee drinks, natural and artificial sweeteners, and infant nutrition products. The company’s includes the Sufresh, Feel Good, Akoko, Doce Menor, Gold, Assugrin and Tal Qual brands. Zodiac is a rapidly-growing supplier of cloud and embedded software platforms to multichannel video programming distributors (MVPDs), enabling them to advance their video services to be competitive with today’s Internet-based over-the-top (OTT) experiences, without spending the time or investing the capital to rework their networks or deploy new set-top boxes.